The 65-year-old Portuguese coach left Team Melli after the 2019 AFC Asian Cup, where he failed to bring an end to Iran’s 43-year title drought in the competition. Soon after, president of Iran’s Football Federation (FFIRI) Mehdi Taj said they will hire a big coach as a replacement for Queiroz. Former Netherlands coach Bert van Marwijk was a nominee to take charge of Team Melli, according to reports from Saudi Arabian journalist Saad Al Harthy, but the Dutchman has joined coaching staff of PSV Eindhoven. 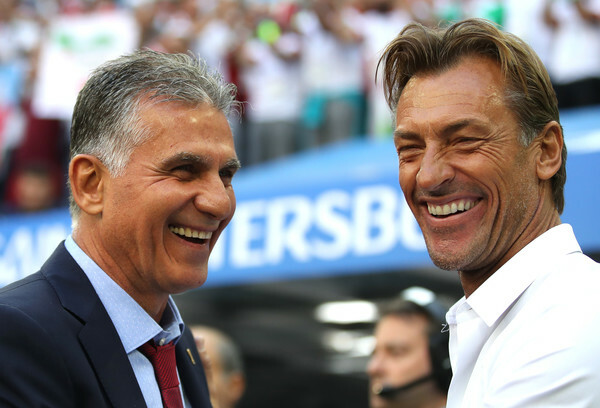 Morocco coach Hervé Renard was another nominee to lead Iran but the Frenchman said he is under contract with Lions of the Atlas. He also refuted claims that he has negotiated with the UAE football federation. Then, the media reports suggest that Laurent Blanc has been shortlisted to take charge of Team Melli but the Frenchman will not come to Iran. Team Melli will start the 2022 World Cup qualification in June but has yet to reach an agreement with any coach.